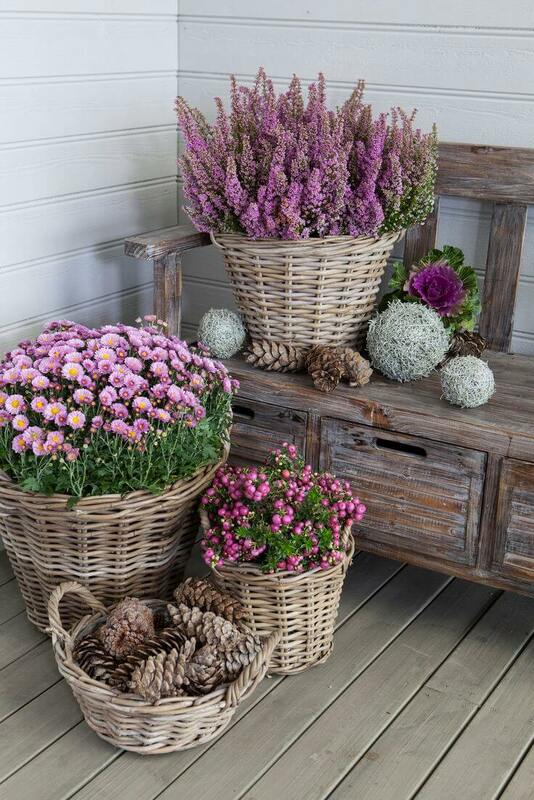 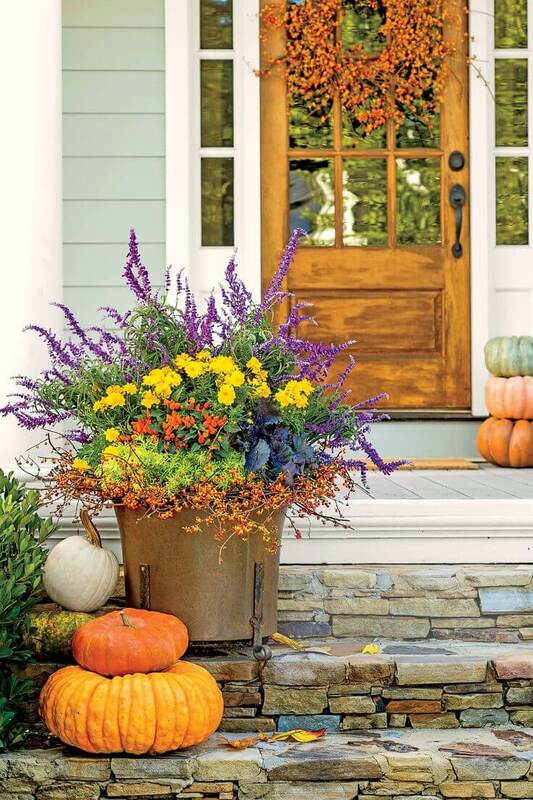 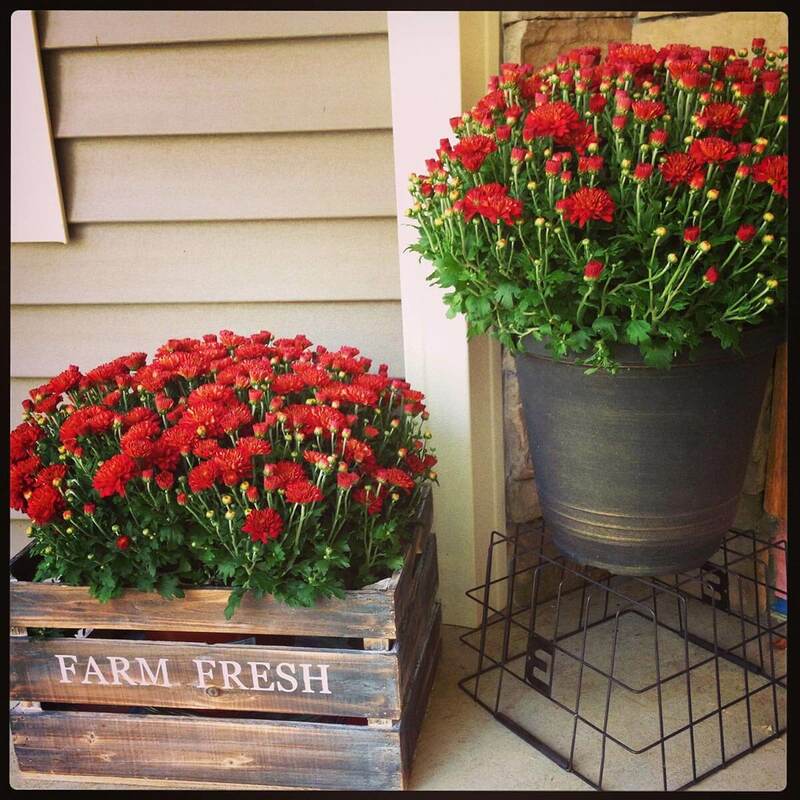 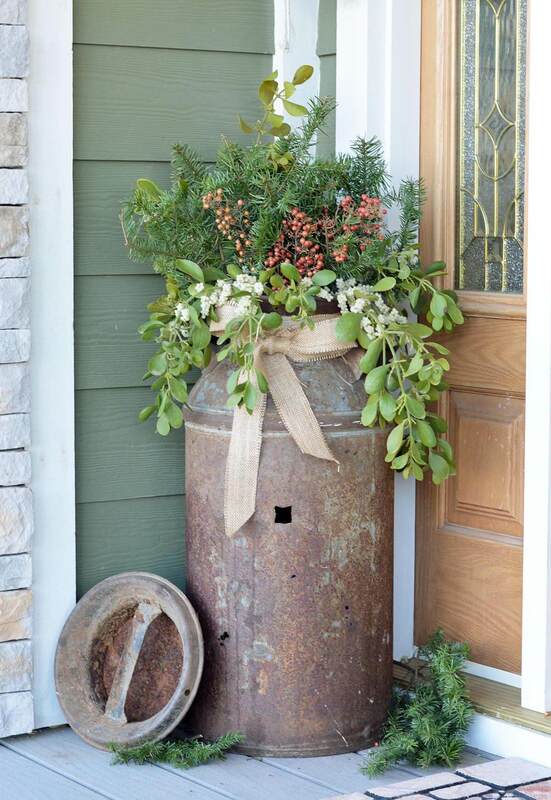 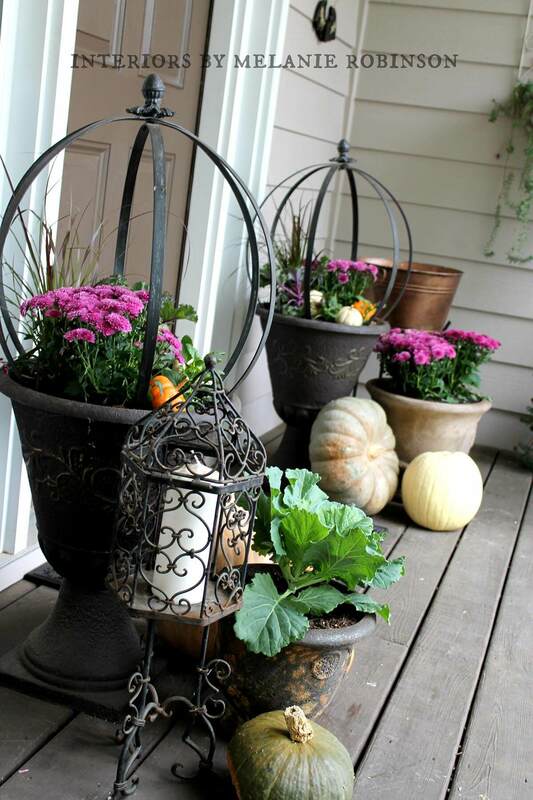 Welcome the guests to your home, whatever the season, with these fun flower pot ideas for your front door! 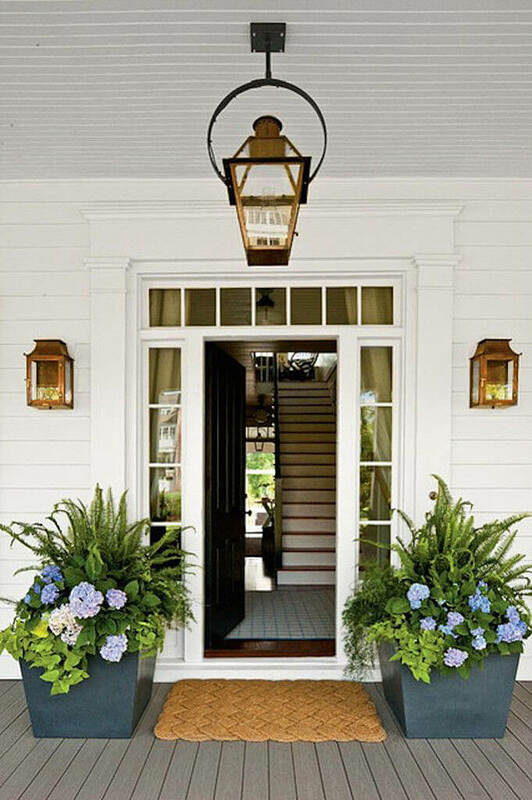 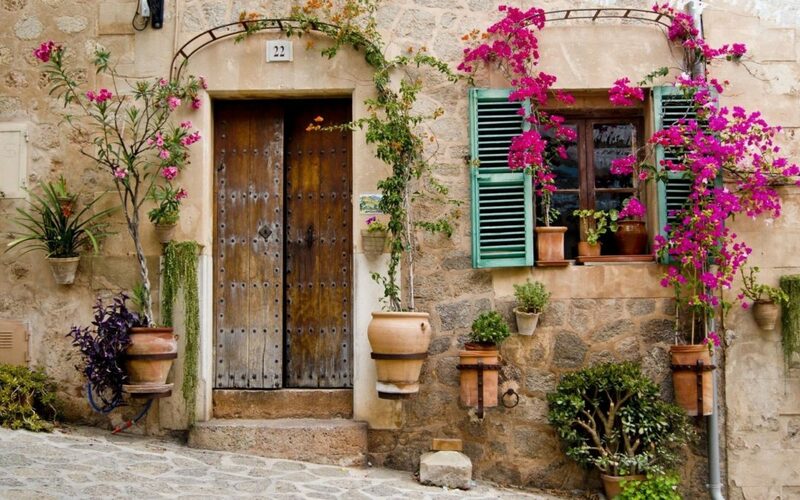 Just like an outfit is never truly complete without accessories, your home can always benefit from a bit of “bling” in the form of pretty front door flower pots. 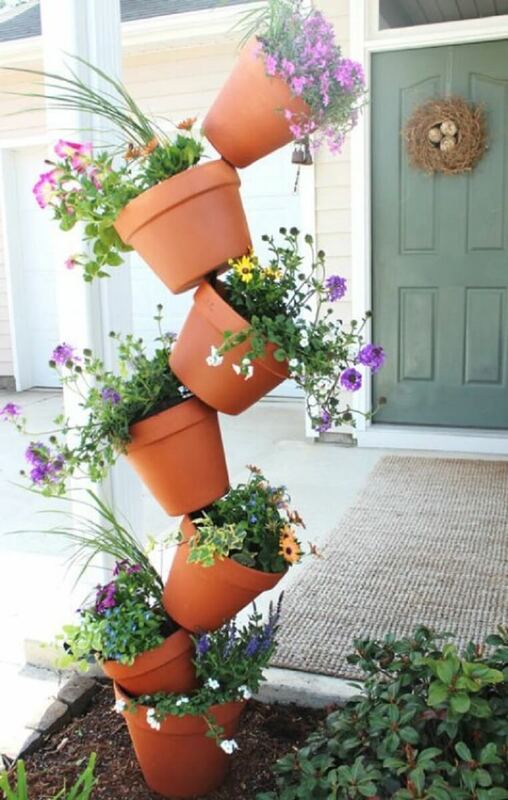 You can show off your creativity to anyone who passes by. 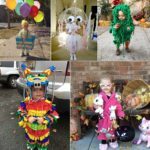 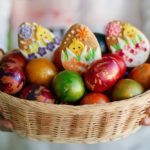 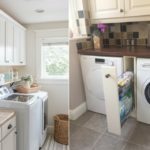 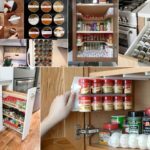 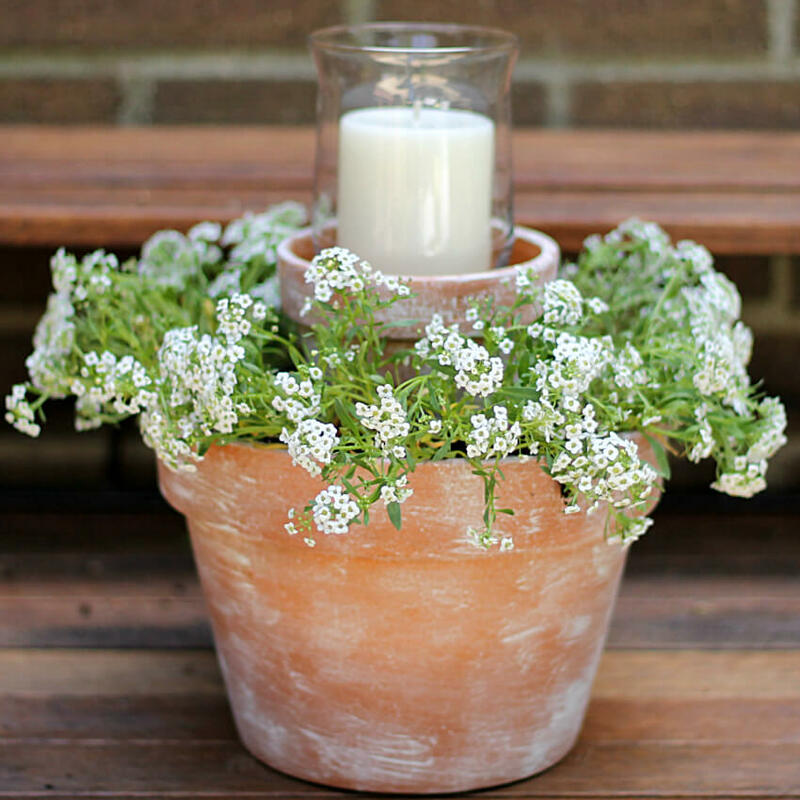 Whether you want a colorful, whimsical decoration that appeals to families, a rustic country display, or a more chic flower pot decoration, the list below covers all the options. 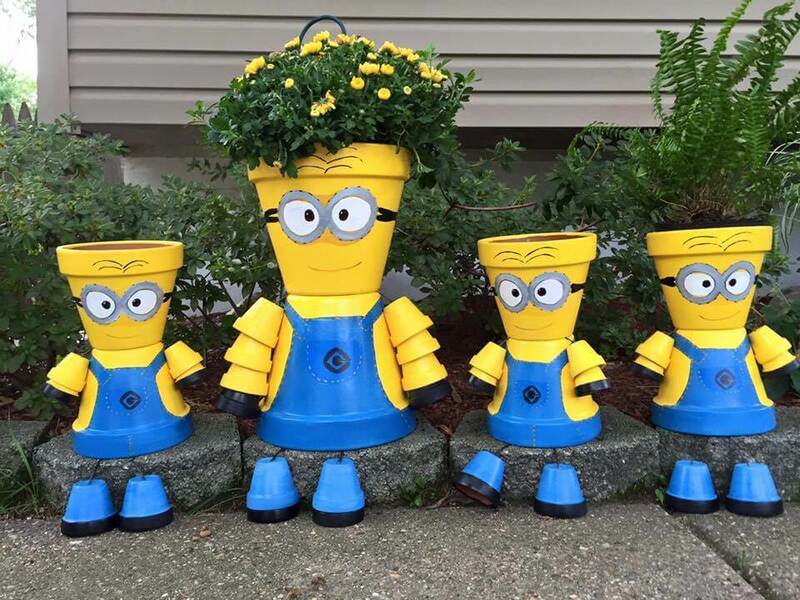 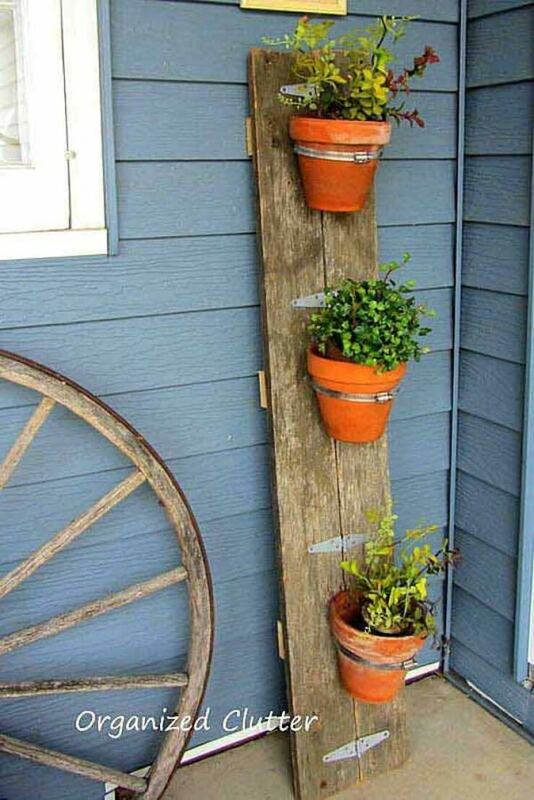 Many of these front door flower pots use up-cycled items and can make a display that is truly unique. 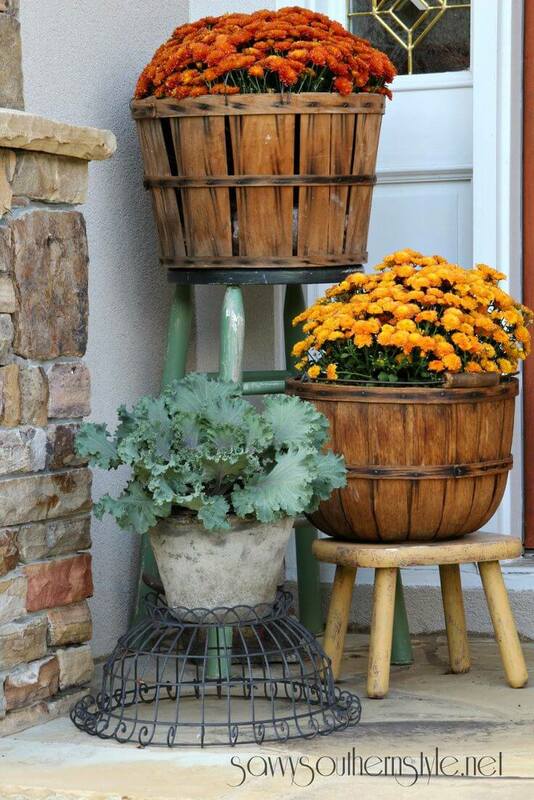 From old milk cans to fruit baskets and antique chairs, anything can be turned into a planter with a bit of creativity and gumption! 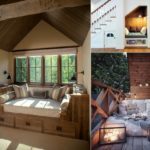 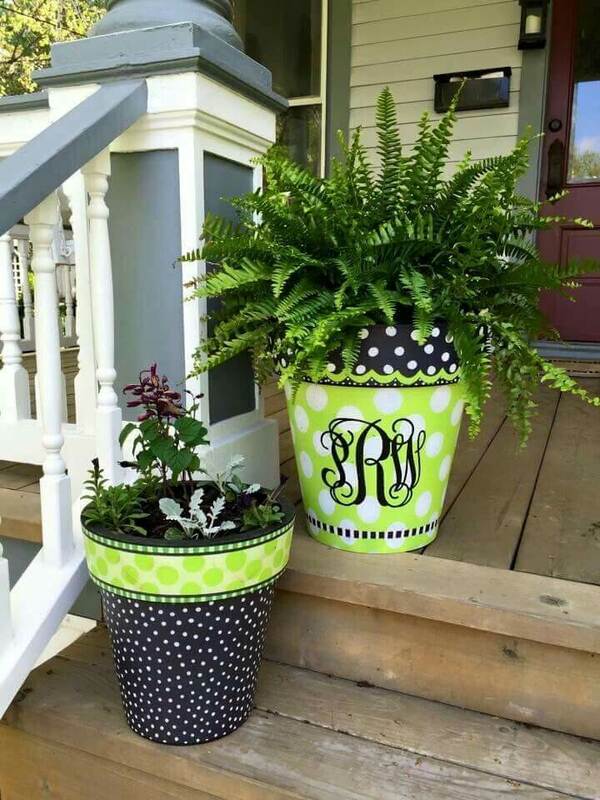 These designs look great all year round; just replace the plants to change your home’s look with the change of the season. 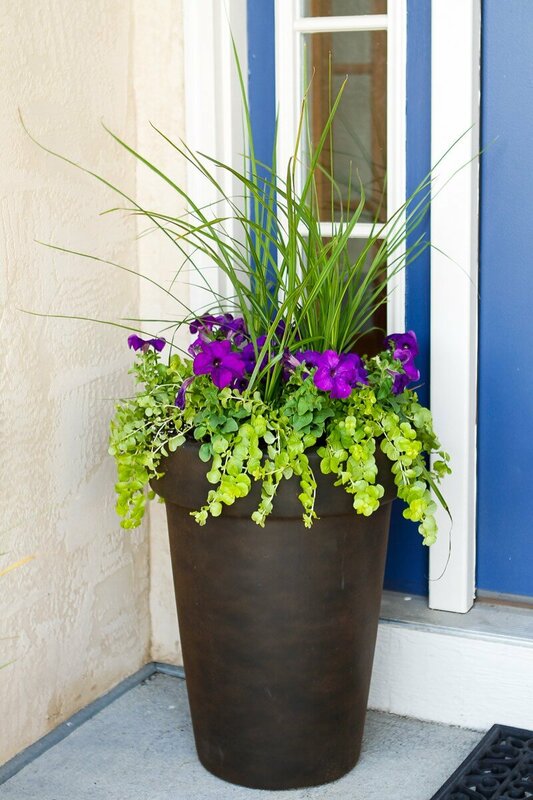 Front door flower pot decorations are the perfect way to show your love of plants if, perhaps, you don’t have one or garden is small. 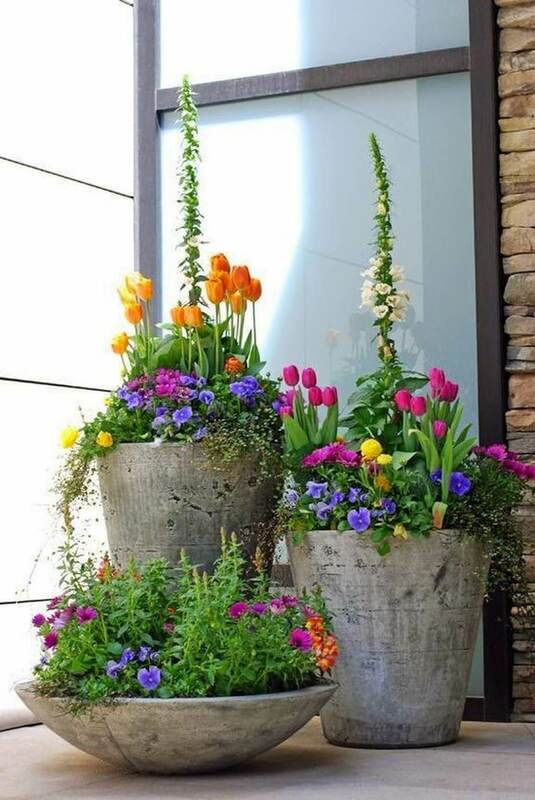 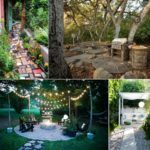 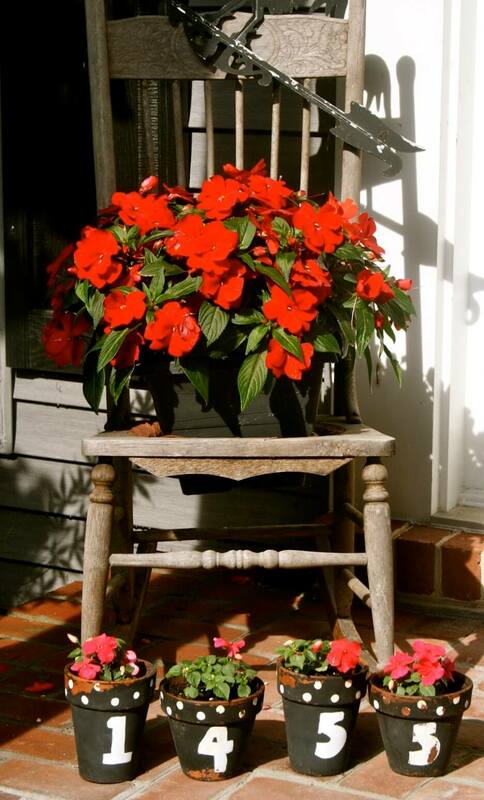 Read on to find your favorite flower pot idea that will add a bit of color and personality to your outdoor space!